Finally we don't need anymore mods to be able to Edit Sim in CAS and select PNG! The Sims 3 Generations (and maybe the next game patch 1.21) will add to the game some useful cheats in add to some options like lifespan duration, buy & build mode filters and memories system! 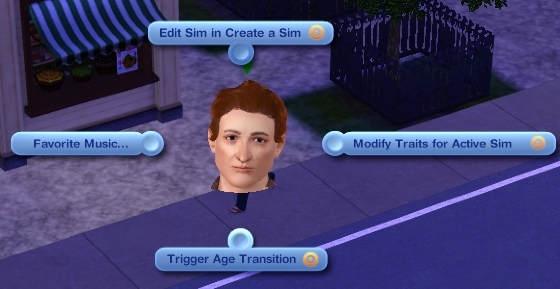 The Sims 3 Generations added just a cheat, but really useful. The new cheat is moviemakercheatsenabled true/false. We will see its usage here below, it works only with testingcheatsenabled true. Edit Sim in Create a Sim now you come back sim in cas and edit it!! More info about this rewards under Game's Guide category. Some new options parameters. In General Options there is the toggle on/off of memories notification. We can also see the setting about Facebook connect to The Sims 3 profile. We miss so much the collection system of The Sims 2. Finally a first approach to filter contents in the buy/build mode. We can choose to show contents from an expansion, stuff pack, Store or custom contents. Disclaimer: Similar news were posted by Simprograms and SimVip some days ago. We haven't The Sims 3 Generations or the patch 1.21 installed. We received all these info by an anonimous user through our contact form. He/She sent us icons, text and some screens. We suppose he/she has already the game, but the mail address provided doesn't work. So thank you Anonimous :).